Quad-X manufactures a range of ATV accessories and quad equipment, suited to the agricultural industry, landscapers, amenities, smallholders and the equestrian market. 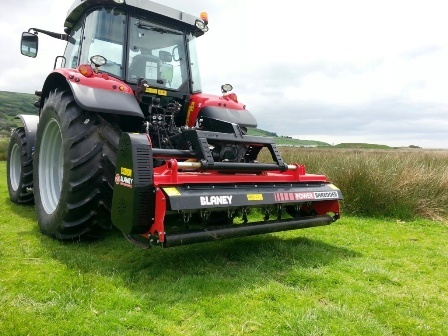 The innovative range caters for grass care, weed control, and livestock care needs. Our business success has been based on the design and development of superior products to make our customers everyday jobs easier with a service to exceed customers expectations. Our products ensure you get the full potential out of your ATV investment. We make tools to unlock your ATV’s potential. Quad-X has evolved from humble beginnings, based on the family farm where a young engineer started the business as a small ATV service and repair workshop. Quad-X is a privately owned business, in operation since 1993, located in County Antrim, Northern Ireland near the Glens of Antrim. Manufacturing started with sowers, trailers, sprayers & booms and yard scrapers, expanding into a larger range of quad accessories including herbicide applicators, mowers and other specialists equestrian equipment. We are now one of the leading manufacturers of quad accessories in Europe. Quad-X was shaped by a vision, where a dream has been turned into a range of outstanding products. Driven by ingenuity most of our R&D team are from an agricultural background. Coupled with professional engineering qualifications this ensures that those involved in product development already understand the problems our customers face and realise the importance of ensuring attachments are simple to use, easy to fit, robust, reliable and ultimately competitively priced. Core values are based on innovation and quality commitment with heavy investment in research and development. 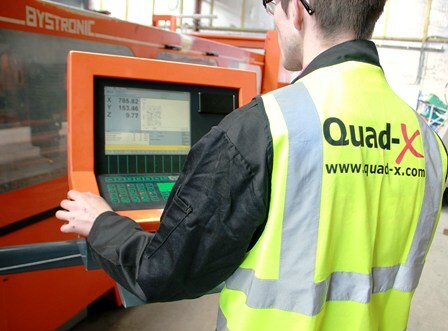 Although Quad-X has grown substantially in terms of our product range and number of employees over the past 15 years, we are still a relatively small team where we can respond quickly to customer needs and expectations. Unlike other ATV accessories manufacturers who produce a set range of accessories with no change over a 10-20 year period, we strive to continually look for possible improvements and incorporate new technologies where possible. 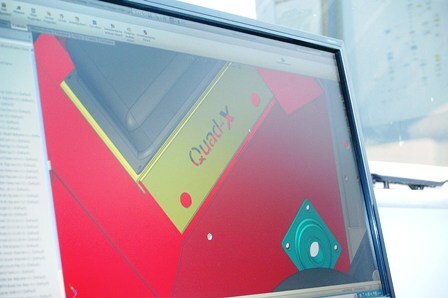 The success of Quad-X to develop quality, innovative products led to customer demand for the same unique technology to be available on a larger scale for use with tractors. In response to this explosive demand, the Blaney Tractor division was created. Manufacturing of tractor equipment started in 2005 with 22ton trailers but it was the development of our innovative Power Shredder Mowers which led to the demand for further expansion. We believe there are many exciting developments ahead…with some already in the pipeline! If you have any suggestions for new products please contact us. Quad-X is situated in the tranquil Co Antrim countryside, near the Glens of Antrim which is an Area of Outstanding Natural Beauty. Many of the Quad-X products have evolved from concern over the environmental impact of some conventional agricultural practices. Product design has also centred around new governmental legislation and environmental schemes, all with the aim of developing products that will help preserve the environment and wildlife habitats for future generations. Quad-X is committed to conducting business in a way that is environmentally sound. We aim to reduce the amount of waste produced, re-use packaging material and recycle raw materials where possible.